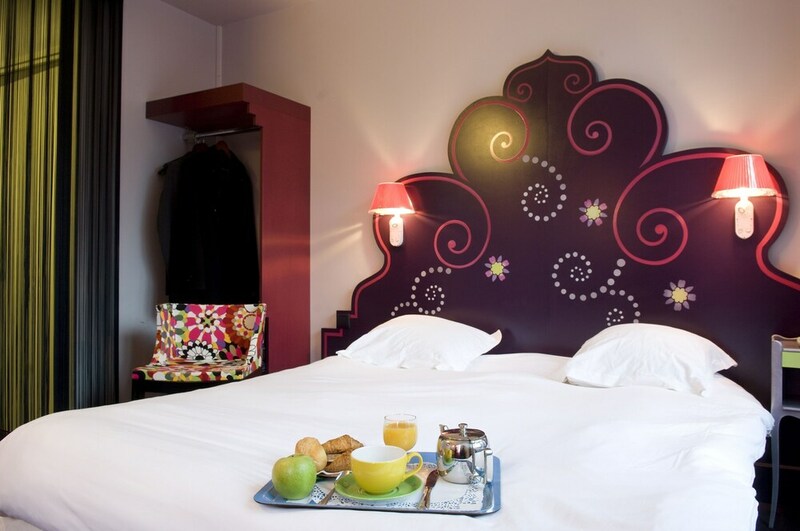 A stay at Splendid Hôtel Grenoble Centre Gare places you in the heart of Grenoble, within a 10-minute walk of La Caserne de Bonne and Place Grenette. This hotel is 21 mi (33.8 km) from Station de Chamrousse and 0.8 mi (1.2 km) from WTC Grenoble. Stay in one of 45 guestrooms featuring LCD televisions. Complimentary wireless Internet access keeps you connected, and satellite programming is available for your entertainment. Private bathrooms with bathtubs or showers feature complimentary toiletries and hair dryers. Conveniences include phones and desks, and you can also request cribs/infant beds (complimentary). Take advantage of the hotel's 24-hour room service. Buffet breakfasts are available daily for a fee. A tax is imposed by the city: EUR 1.25 per person, per night. This tax does not apply to children under 13 years of age.